This article is the last part of my Arch Linux Destop tutorial series were I explain the installation and configuration of various desktop enviroments. 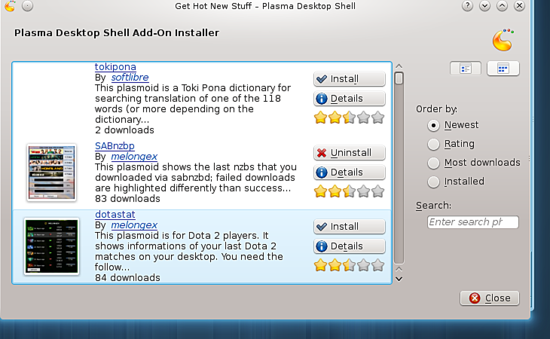 KDE is another desktop manager of Linux which is used widely. In this tutorial we are going to check the installation and some other work around applications used by KDE. 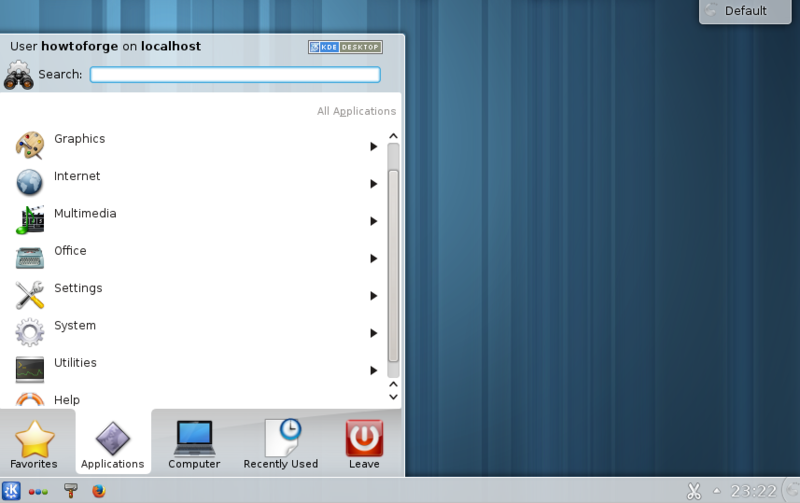 The tutorial will consist of Installation, Configuration, Startup and then some other applications. The above is the command for the Full installation. This will be the command for the base install. I'm not mentioning the installation of Plasma as Plasma 5 conflicts with KDE4 and pacman will probably demand for the removal of Plasma. For the above command you can use your own text editor as you wish. Simply uncomment the line by removing # or add your own line like the above. Once your are done editing that part save it. The above command should give you the startup screen of KDE. This is the default splash screen for KDE4. You can change it later on to whatever you feel like. 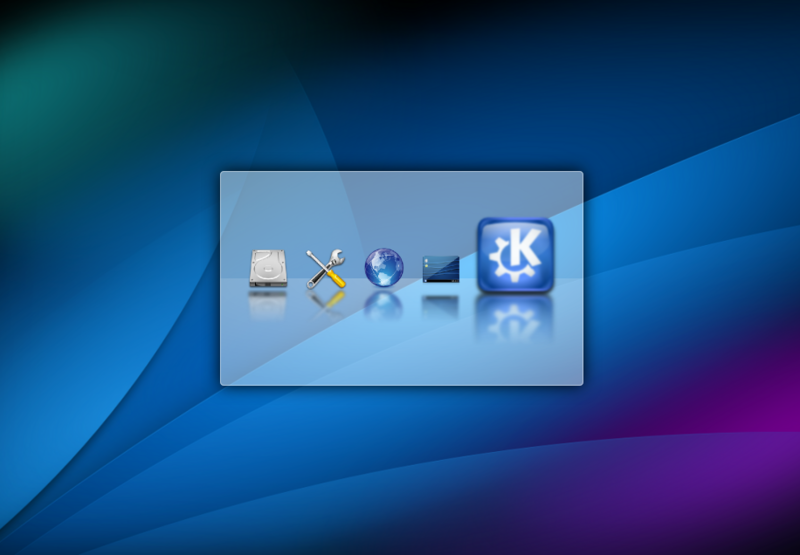 KDE4 configurations are saved under .kde4 or .config folder by default. For reseting all the setting of KDE4 at once you can rename these two folder and restart your session, it will load all the default configurations by re-creating all the folder and files. This is how a working KDE4 Desktop looks like, even if your desktop background is black no need to panic, you can change it from the settings. 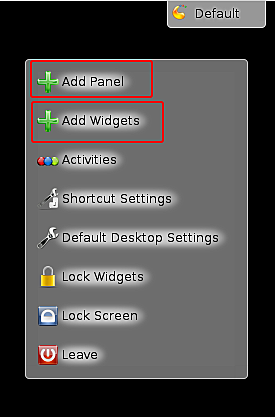 For adding widgets you got an option on the top right side of the desktop, select the option Add Widgets, the Add Panel option will simply add panels on the screen. You can then add the widgets you feel are good for your need. This will give your fonts a decent look. 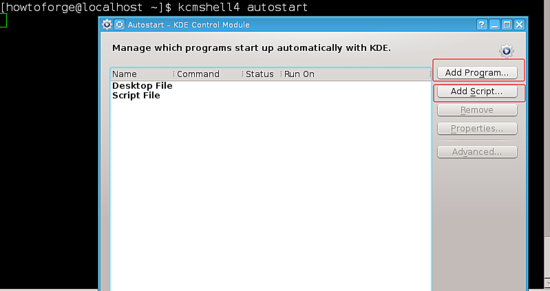 KDE4 has a option of manually adding files and scripts on startup. You can add your stuff to autostart by using the button on the right. balooctl disbale (to disable baloo permanently, however you can use it again, once enabled. 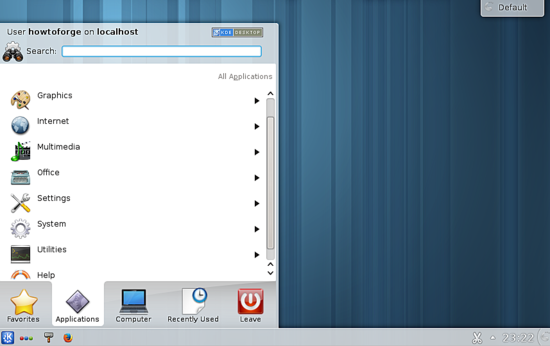 Here is it, for the appearances of KDE4. You have quite some options for the appearances you edit whatever you like whatever way you like.